Long-wheelbase version introduced along with the facelift. The Bentley Mulsanne facelift, shown at the 2016 Geneva Motor Show today, features a more expressive front-end with new bumper, headlights, upper and lower grille, air inlets and bonnet. 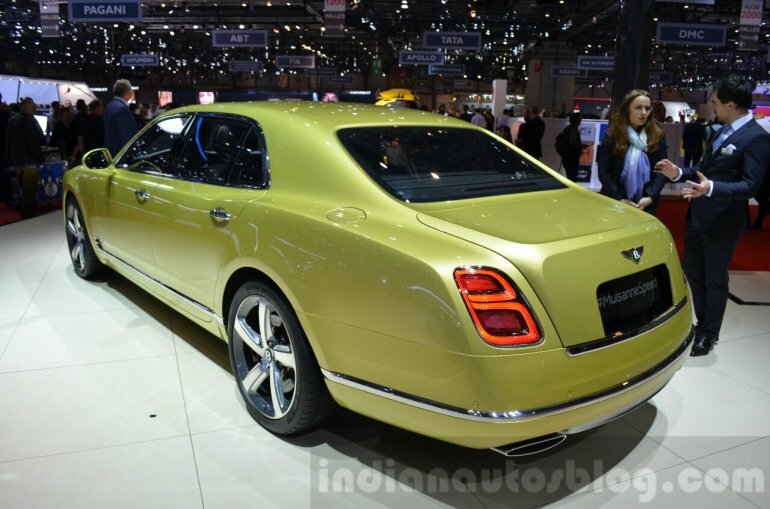 The facelift also sees addition of a long-wheelbase version in the Mulsanne range. It increases the rear legroom by 250 mm (from 3,266 mm up to 3,516 mm), and features legrests that can be extended for enhanced comfort, and a sunroof for the rear passengers. The Mulsanne Speed gets its unique styling with dark tinted front and rear lamps; 21” hand-finished ‘Speed’ alloy wheels; sports exhausts; and Speed fender badging. On the inside, Bentley is now offering redesigned seats, armrests and door trims. Customers can choose from 24 hide colours and single or dual-tone finishes. A major upgrade is an all-new 8.0-inch touchscreen infotainment system featuring haptic controls, classic analogue gauges and a 60 GB SSD for media usage. For the rear seat passengers, the company has introduced Bentley Entertainment Tablet – a pair of 10.2” Android devices integrated into the front seat backs. These tablets have 32 GB internal memory and 128 GB expandable memory (Micro-SDXC card). 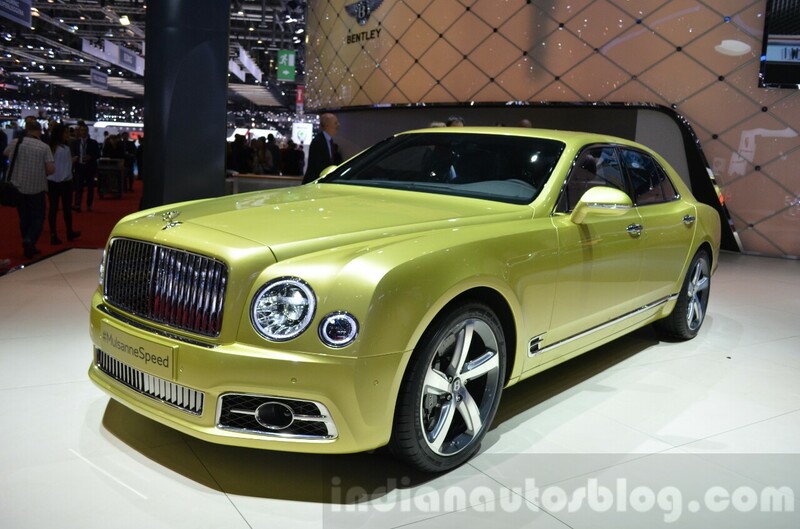 The 2016 Bentley Mulsanne sports a 6.75-litre V8 engine that produces 512 PS (505 hp) and 1,020 Nm (752 lb.-.ft) of torque. Power is sent to the wheels via a ZF-sourced 8-speed automatic gearbox. The standard model does 0-60 mph (0-97 km/h) in 5.1 seconds and hits a top speed of 184 mph (296 km/h). The 2016 Bentley Mulsanne Speed is powered by the aforementioned engine, but gets maximum power and maximum torque ratings of 537 PS (530 hp) and 1,100 Nm (811 lb.-ft.) respectively. Power is sent to the wheels via a recalibrated 8-speed automatic gearbox, also sourced from ZF. 0-60 mph (0-97 km/h) acceleration takes 4.8 seconds, and the car maxes out at 190 mph (305 km/h). The Bentley Mulsanne LWB packs the same 6.75-litre V8 engine from the standard model, good for 512 PS (505 hp) and 1,020 Nm (752 lb.-ft.) of torque.